DJing vinyl vs digital: Which one is the best for modern DJ's? I love mixing vinyl but I chose to stick with digital DJing a long time ago, simply because of the extra features and abilities it offers. In this post we look at the argument for DJing vinyl VS Digital and help you decide which is the best for you. 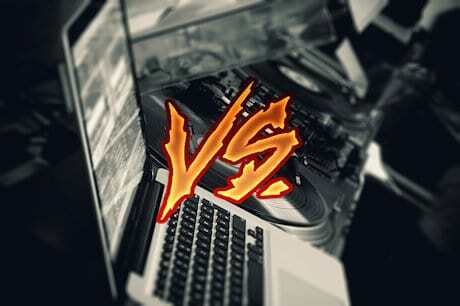 The battle is on, vinyl vs digital DJing! There are great arguments for both styles, and they are both super fun. But if you're here reading this article you must be torn between the two. So we're about to put both styles of DJing head to head to help you decide which way to go. You've probably heard people saying that you should always start out DJing with vinyl.. Or, you're not a real DJ unless you can spin vinyl! This is because the skill needed for mixing and beatmatching vinyl is slowly being lost in the modern day. Digital DJing has brought us things like bpm counters, sync, and quantize that do a lot of things for us. Vinyl DJ's find that they have very little to do when they make the switch to digital. This is because they are so used to spending the whole record beatmatching. They see digital DJing as something that's too easy, and something that's taken the fun out of DJing. 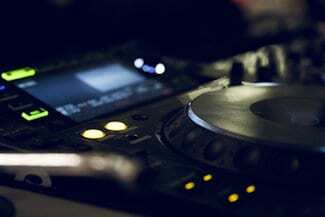 Many vinyl DJ's saw the invention of the CDJ as the end of real DJing, and using a laptop was laughed upon. Some club owners even banned the use of laptops and controllers in their clubs! But since I began DJing I've seen digital DJing get bigger and bigger, and it's not going back anytime soon! It's true digital DJing may take away some of the necessary skills if a DJ chooses to use the sync button etc. Some DJ's will get slots in the big clubs and mix terribly over and over again, I've seen it lots! They select a track, hit sync, and when they drop it in they can't even EQ the mix. This is usually the type of person that has no real passion for DJing, they're only in it for the money or the fame. Unfortunately, this reflects badly on the rest of the DJ community. 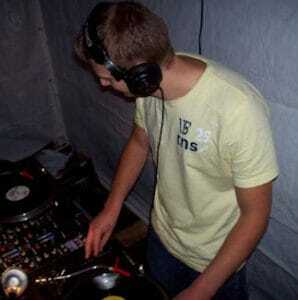 Back when I started DJing I was mixing purely vinyl for the first three years. A friend of mine began mixing using a controller, and every single beat was matched perfectly, I couldn't believe it. I watched him for over an hour using sync and mixing track to track effortlessly. I thought to myself, this is cheating, the equipment is doing all of the work. Right there and then I decided that I wouldn't be going down that route of digital mixing. It just seemed to take all of the fun out of mixing, and this is exactly how a lot of people see digital DJing. When you look a little deeper, as I eventually did, you realise that sync will actually open up many new opportunities. If you're not spending all of your time trying to beatmatch the next record, just look at what else you can do! Everyone that has mixed vinyl will tell you that there is something satisfying about getting the records perfectly matched. There was certainly a lot more skill involved, and it's true that if you can mix vinyl you will find digital DJing easy. But that's not always true the other way around, digital DJ's will usually struggle to mix vinyl. DJing was appreciated much more when DJ's were spinning vinyl. Crowds knew that DJ's needed more skill to match two records, so just being able to beatmatch was seen as impressive. That appreciation has been lost in the modern day and the average crowd doesn't care about beatmatching anymore. 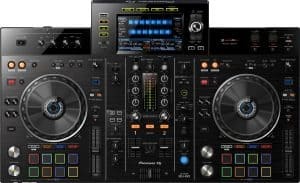 Modern equipment gives DJ's the ability to press sync and use the quantize button to snap beats into alignment. This means that a track will be instantly beatmatched and ready to mix in. Sync can be unreliable with some tracks so don't expect it to work every time. You may find that it works perfectly with your chosen tracks, but just imagine getting to a club to find the sync button broken! This is why I advise all new digital DJ's to learn the essential skill of beatmatching. Just because there is a sync button on modern equipment, that doesn't mean you have to use it every time. If you like the skill involved in matching beats, turn off sync, and don't use the BPM counters. Once your tracks are beatmatched perfectly it's time to mix into the next track. 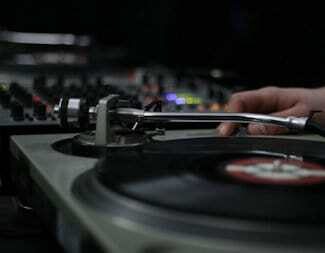 With the vinyl record you'll find your cue point and wait patiently for the first beat before dropping it in. You'll then make small adjustments by gently touching the platter to get the beats perfectly aligned. The rest of the work is then done using the mixer. Using a digital setup will let you do lots of things once unavailable with vinyl mixing. You could create a loop, add some samples, or use the hot cues to jump around the track creating live remixes. Even if these things were available with vinyl, you'd be concentrating so much on beatmatching that you'd hardly use them. When you're ready to mix simply find your cue point and then save it, simply press the cue button to start the track playing. You'll be able to drop the track in at the chosen point and it will automatically align to the next track using the quantize function. This means that no adjustment will be needed to line the beats up, and they will stay perfectly in-time. As with sync you can also turn off the quantize option if you'd rather line the beats up manually. One of the biggest deciding factors between vinyl vs digital will be the cost. Unfortunately a single vinyl record will cost you around eight to ten times more than a digital download. So digital DJ's could potentially buy ten tracks for the same price as a vinyl DJ buys one record. On top of the costs you'll also need lots of storage space for records, and crates to carry them in. Digital DJ's can fit thousands of digital tracks onto a tiny thumb drive and easily carry them to the club in their pocket. Vinyl records can eventually wear out, warp, and crack, but digital files can be stored safely on multiple devices. 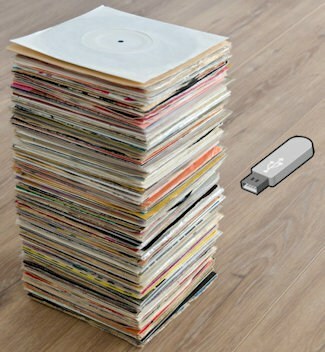 This makes digital downloads much more practical than vinyl records. Store thousands on a single thumb drive and easily take them anywhere. No more carrying heavy record crates. Copy them to multiple devices so they're never lost. If you forget the name of a track it's hard to find in a large library. If you can't decide between the two why not try a digital vinyl system? This will let you spin vinyl records without the high costs, and you'll also have the advantages of digital DJing! Take a look at HERE to learn more about digital vinyl systems. Which would I choose if I was starting over? I love vinyl and I had so much fun mixing with friends before I was playing at clubs, but if I had to chose again I'd go digital. I'd buy myself a controller and a set of turntables and get a DVS. This way I'd be able to use fun things like loops, hot cues, and samples, but I'd be able to spin vinyl without the costs. By doing this you have the best of both worlds and you save money on expensive vinyl.